Who you fish with makes all the difference! 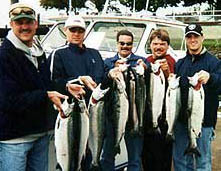 We provide enjoyable, productive and safe Seattle fishing adventures. We maintain the highest industry standards for tackle, equipment and professionalism mixed with a healthy dose of humor and positive attitude. This winning combination has given Adventure Charters a strong and reliable reputation with Seattle hotels, tackle shops and travel agencies, they send their clients to us. A proven track record in catering to corporate business, Seattle tourism, and a large following of local anglers who return year after year, attract people who love to fish. New to the sport? No problem, you will feel comfortable with complete instruction and as much help as you want. You will have fun with us! 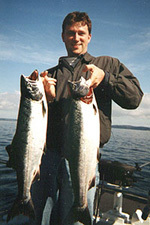 Owner and Seattle fishing guide, Captain Steven Kesling is a fun, funny and entertaining professional. 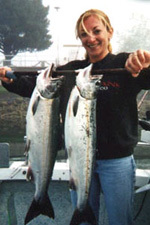 Steve has operated a very successful Seattle fishing charter for 16 years. He is currently serving his fourth 2 year term as a Washington Department of Fish and Wildlife Marine and Anadromous Sport Fishing Advisor. What this means is that Steve works with the State of Washington as a consultant on fisheries management issues. Steve is also working with NOAA Fisheries on a Federal level and has been contracted to assist with rock fish management projects. 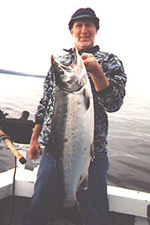 With over 30 years experience on Seattle waters and Alaska's backcountry wilderness, he is a salmon and bottom fishing expert. 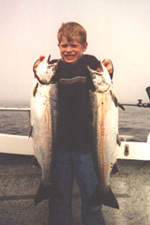 Using proven tackle and techniques, you will have the opportunity to learn the inside of Washington saltwater fishing on the calm waters of Puget Sound. Lowrance Electronics captain and guide member. Charter Boat Association of Puget Sound Member. 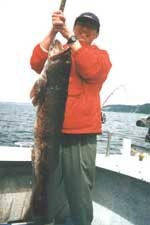 Most Seattle fishing areas are between 1 and 15 miles distance. A fast boat keeps our run times short. Multiple strikes for Baltimore Orioles pitchers with Adventure Charters, and a nice catch for the catcher! "Fishing is my passion. My father got me started as a young child and I have spent my life learning all I can about the fish of Washington State and how to catch them. The best part of chartering are the clients that I meet and sharing the experience of Puget Sound with them."